Are you a fish out of water when it comes to planning the perfect themed party? For me, it takes days to sometimes search the internet and find some of the best themed content for our special occasion. 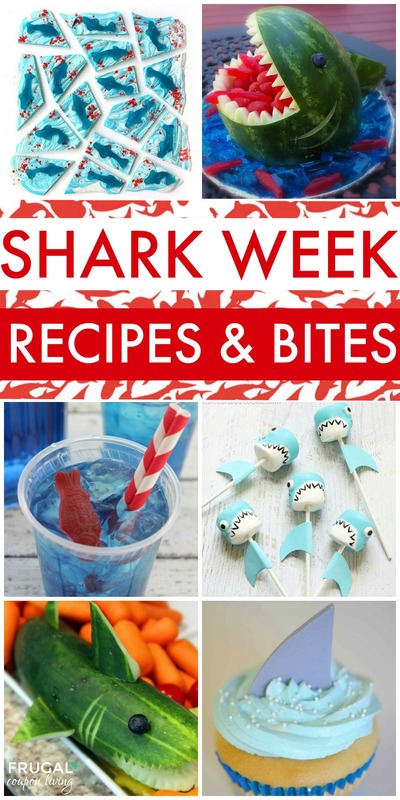 Shark Week, which starts Sunday, June 26th, is right around the corner and we wanted to give you some of the Best Shark Week Ideas for Kids. From crafts, to foods to printables, there is a little bit of something for everyone! 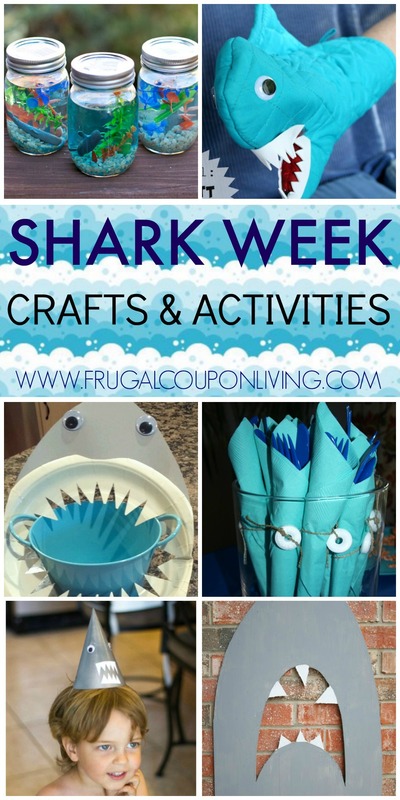 Get these FREE Shark Food Printables for your Yummy Bites. From Pretty Providence. Is this not adorable? Print how this FREE Shark Cootie Catcher from Easy, Peasy, and Fun! 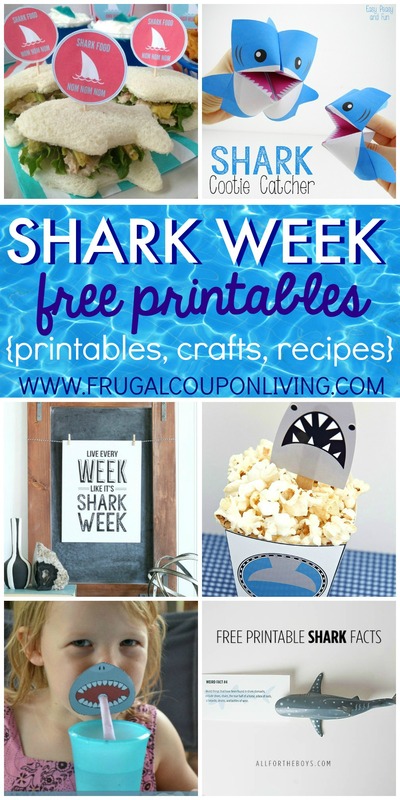 Live Every Week Like it’s Shark Week with this Printable from The Crafted Sparrow. For your little bite, these Shark Bait Snack Cups are perfect from My Printly. Pick up these Shark Paper Straw Covers from Mother Natured. Also print these free Printable Shark Facts from All for the Boys. We really like this Shark Chocolate Bark from Sandy Toes and Popsicles. Don’t forget your drink, this Ocean Water on Frugal Coupon Living will help everything go down! How fun is this Cucumber Shark by Jo and Sue? Everyone can make their own Mason Jar Shark Aquarium with this activity found on Hello Wonderful. Have fun with an Oven Mitt Shark Puppet from Dollar Store Crafts. Additionally, how cute are these Napkin Ring Lifesavers as seen on Tickled Pink with Roses and Pearls?! Turn Party Hats into Sharks wit this idea on Me and My Insanity. Make a Wooden Shark Backdrop and Photo Drop from Dukes and Duchesses. If you are hitting the beach, also take a look at our Beach Tips and Hacks. Pin to Pinterest.